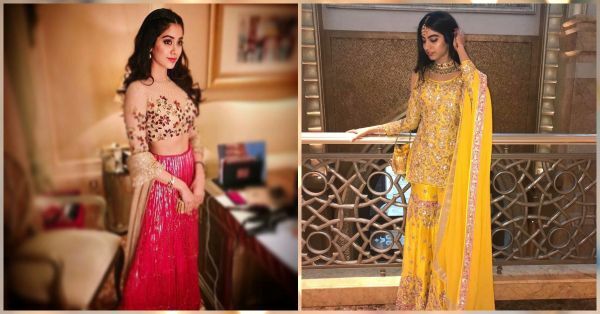 11 Looks From Jhanvi & Khushi Kapoor That Are #ShaadiGoals! While Kareena and Karishma were the reigning sisters of Bollywood a while back, they’ve now given way to a new pair. Yup, we’re talking about the gorgeous daughters of Sridevi! Jhanvi and Khushi Kapoor have grown up to be total stunners and we can’t help but drool over their fashion choices. The Kapoor girls are Manish Malhotra loyalists when it comes to Indian wear and the designer is constantly updating us with their pretty pictures. 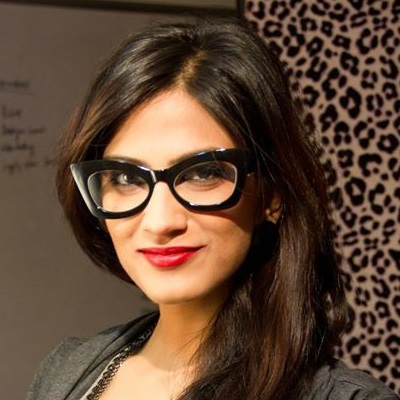 So go ahead girls, treat yourself to some major shaadi guest inspiration! A spitting image of her mother, Jhanvi is a vision in this baby pink and beige outfit. And we love that overdose of *sparkle*. So glam! 2. Happy girls are the prettiest! Khushi Kapoor is all smiles in this blush pink and pastel green set. So perfect for a summer shaadi! 3. They make banarasi silk look even better! Hard to disagree, right?! Dressed in Banarasi Art Silk lehengas, the sisters look wedding ready. The vibrant colours are perfect to wear to your bestie’s mehendi. … While looking like a true diva in her white gown with colourful floral threadwork. The beauty chose to go with minimal accessories and her subtle makeup compliments the overall look. And the younger Kapoor kid sure is one! A neatly tied ponytail, a well fitted white gown and a beautiful long trail… She looks straight out of a fairytale. 6. And angels come with feathers! Okay, take a moment, breathe. And yes, that’s her, for real! Lots of sparkle, a soft lavender shade and feathers to go with it. Descended from the skies! 7. And it was all yellow! And yellow has never looked better! A cold shoulder kurti with sharara, this makes us want to attend a sangeet function right away. 8. When she rocked the fringe! And lehenga skirts with fringe became a huge trend after that! Look at her swingin’ and shakin’ it on the dancefloor! 9. Why do we see two?! Oh wait, that’s Sridevi with Jhanvi! Don’t they look like sisters? And they’re ‘almost’ twinning in these outfits. Though Jhanvi is totally winning our hearts with that thigh high slit. And that’s like an everyday thing for them!! We are loving Sridevi’s off-white sharara and Khushi’s beautiful off shoulder lehenga. 11. And now… Leaving you with this gorgeous photo of the trio!! Three absolute beauties in the same frame.